With Adventures by Disney Long Weekends, families can enjoy exciting destinations, such as New York City and San Francisco & Napa, while making the most of their free time. Now, Adventures by Disney is heading south for our newest Long Weekends offering in Nashville, Tennessee. Starting in 2015, foodies, music lovers and history buffs of all ages can take part in this one-of-a-kind southern experience inspired by the critically acclaimed television show Nashville on ABC. The new 4-day, 3-night Nashville vacation puts you right in the heart of country music and southern cuisine, and offers behind-the-scenes tours of famous landmarks in Music City. 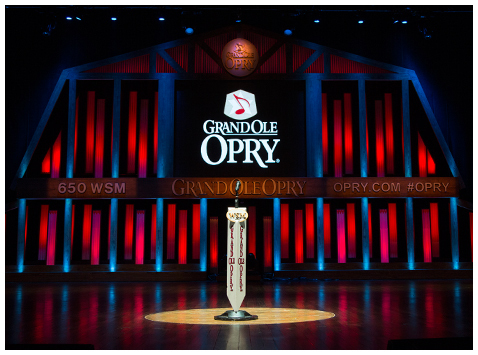 Take in a live show at the Grand Ole Opry, complete with a private dinner and a special look backstage. Live out your music dreams as you are guided through the hallowed halls of RCA/Studio B, where you’ll have the chance to sing one of the many hits recorded in this famed studio. Visit the famed Bluebird Café and dine where music legends have performed, learn about the art of songwriting and enjoy a special musical performance. You can also tour some of the sites that form the backdrop for the ABC showNashville. For fans of traditional southern food, this Adventures by Disney itinerary has something cooking for you. You’ll try your hand at unique cooking activities where you’ll learn how to bake southern biscuits and craft your own BBQ sauce.